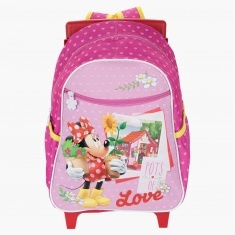 Easy to carry, this appealing backpack features a print of Minnie Mouse. 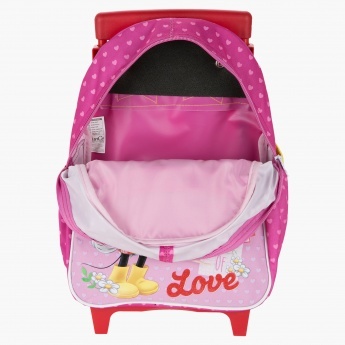 It has a basic structure and two shoulder straps that are adjustable. 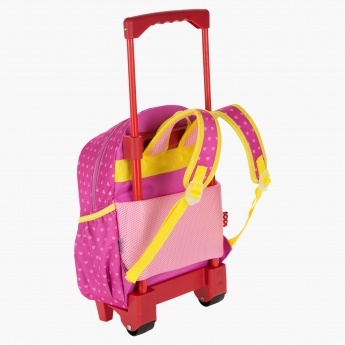 The smooth wheels ensure convenience.